What elements make for the perfect commercial security plan? First, you have to figure out what your needs are. Proper commercial security is all about keeping what’s important safe—whether that be employees, customers, or even just data. Everything from the right fences, like privacy louvers, to the right security systems, like a quality CCTV system, can contribute to a thorough commercial security plan. Being able to understand how to properly develop a plan towards commercial security is the first step in ensuring everyone is safe. 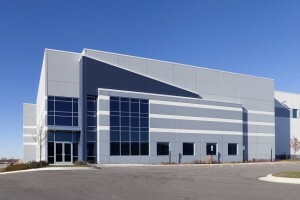 Here are three tips for developing a comprehensive approach to securing a commercial facility. When plans like this are developed and implemented, oftentimes things must be changed and adjusted along the way. Giving yourself adequate preparation time is a necessity. Take some time to really think about how your facility flows, as any good approach to security won’t hinder day-to-day functionality in any significant way. If you’re setting up security louvers, they should still be easily accessible by those who need to access them. Understanding how your building flows is the first step in developing a solid approach towards securing it. We’ve gone in depth about physical security vulnerabilities before, but the key is to think about any area you think your current security policies are lacking in. Addressing these vulnerabilities may be as simple as installing updated, modern versions of technologies you already have. Take a walk around the perimeter of the facility and then do a pass inside as well, taking note of anything that seems like it could be at risk. Anything that stands out as an obvious vulnerability is likely in need of some new security measures. When putting a security plan in place, it’s important that everyone—from employees to customers—understands what is going on. Any new technologies should be thoroughly explained. Implementation is one of the most crucial steps, as it’s critical to make sure everyone is on board, otherwise your newly crafted commercial security plan will be ineffective. Additionally, it’s important to have a maintenance routine set up, as many forms of physical security will require some level of upkeep. Be sure to perform regular checks and update your security plan as necessary. This entry was posted on Friday, June 1st, 2018	at 9:22 am	. You can follow any responses to this entry through the RSS 2.0 feed. Both comments and pings are currently closed.